This giveaway has been sponsored by BuyDig.com. All opinions are my own. Buydig.com is a pioneering retailer of consumer electronics located in Edison New Jersey. We have been at the forefront of the digital imaging revolution since it first exploded onto the scene in the 1990’s. As the industry evolves we keep adding new and exciting shopping categories to our product offerings. Buydig.com has been top-rated by THE authority in expert consumer advice as a top shopping destination for consumer electronics products and is a four-time Platinum Winner of the Bizrate Circle of Excellence Award. In the many years that we have been in business we have become a truly comprehensive source of camera, video, home entertainment and assorted consumer electronics equipment. We sell Digital Cameras, Lenses, External Hard Drives and Accessories, Camcorders, MP3 Players, Home Theater Components including LCD, LED and Plasma televisions, Blu-Ray & DVD players, GPS Navigators, Computers, Tablets, DJ Equipment & Pro Audio, Printers, Scanners, Binoculars, Housewares, Small Appliances, Sporting Goods, Optics and much more to consumers as well as the education, corporate and government markets. With all of the amazing products BuyDig offers, it was hard to pick one to give away to our readers! I think you’ll like the Samsung WB350 Smart Camera! The Samsung WB350 Smart Camera’s powerful 21x optical zoom brings you closer to your subject and its easy sharing capabilities bring you closer to the rest of the world. With its 21x optical zoom and 23mm wide-angle lens, you’ll be able to capture powerful images. The compact, cloud-enabled camera features Wi-Fi and NFC capabilities so you can share your creations just about any way imaginable. Both style and functionality are covered thanks to its retro and modern design that lets you control your camera with added elegance. 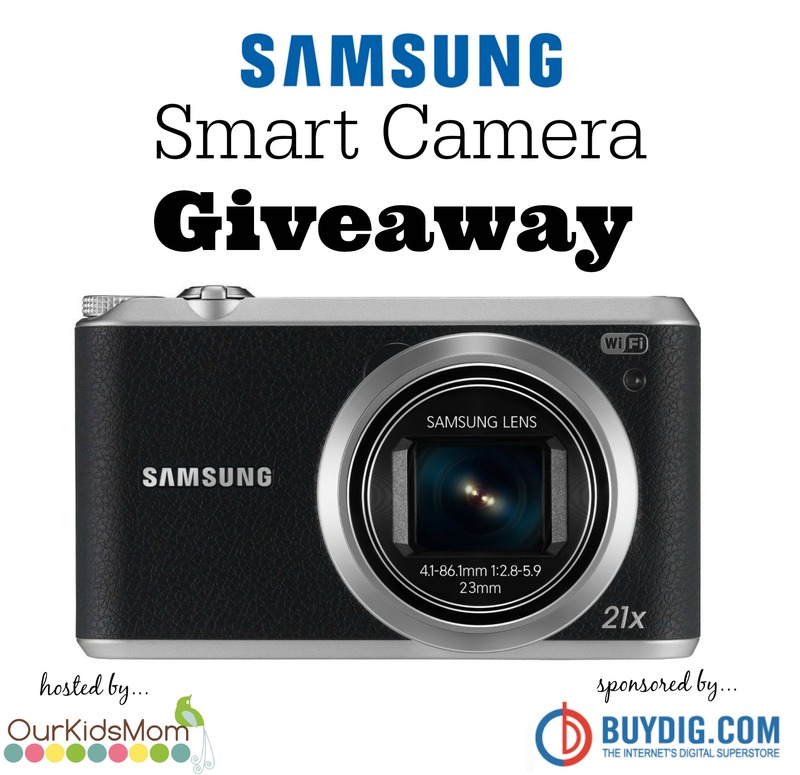 ONE reader is going to win a Samsung WB 350 Smart Camera! This giveaway ends at 11:59 PM EST on March 7, 2015. The rafflecopter tool doesn’t seem to be working. I tried clicking on the link that did show up but it lead me to a $10 Target GC Giveaway that already ended. Sorry about that! I has been fixed. Let me know if you still have any issues. I would love a brand new Smart TV, my dumb TV is really getting on my nerves. Wow. There are a LOT of great loooking electronics out there that I have NO clue how to use! But I’d sure like to have to learn. The Fitness trackers have become so small and user friendly that one could wear them with ANYTHING. Cool! I would love to have the Cuisinart SM-70 7-Quart 12-Speed Stand Mixer, White. I would love the Sony a7K Full-Frame Mirrorless Camera with FE 28-70mm f/3.5-5.6 OSS. I would absolutely love to have the Samsonite Luggage 5 Piece Travel Set (Black)! I really like the 55-Inch 4K Ultra HD 60Hz Smart LED TV ! I would like to get the Cuisinart FCT-10 – 10-Piece French Classic Tri-Ply Stainless Set . I like the Samsonite Luggage 5 Piece Travel Set. I’ve always wanted a smart tv!! I really want the Cuisinart FCT-10 – 10-Piece French Classic Tri-Ply Stainless Set! I like the Garmin Forerunner 310XT Waterproof Running GPS w/ USB ANT Stick and Heart Rate Monitor. I want a Cuisinart HM-90BCS – Power Advantage Plus 9-Speed Hand Mixer w/ Storage Case (Chrome). I would love to have the razor crazy cart! I learned that BuyDig ships internationally! they have so many awesome cameras!! I need a new laptop so I would love to have the MSI T Series GT72 Dominator-214 17.3-Inch Laptop (Aluminum Black) . I’ve been looking for a good set of headphones. I’ve heard that the Sony MDR-1R Premium Over The Head Headphone is good, so that would be an item BuyDig carries that I would be interested in purchasing. I visited the site and they have some amazing deals, some up to 80% off. I like the Cuisinart CPT-420 – Touch to Toast Leverless 2-Slice Toaster! I’d love to have the Sony Cyber-shot DSC-RX100 III 20.2 MP Digital Camera – Black. I would love the Samsung Galaxy Note Pro 12.2″ Black! LC-70UD1U – AQUOS 70 inch Black Ultra HD 3D 4K LED HDTV . I like the Victorinox 7-Piece Knife Block Set . The Apple iPad Mini looks nice. I like the Canon EF 70-300mm F/4-5.6 IS USM Lens, for CANON. I would love to get one. Thanks for a great giveaway! I like the deep discounts they offer on their products. I entered the Helzberg Diamond and Chuggington DVD giveaway. I would love an Apple Ipad mini. I would love to have the Canon EOS Rebel SL1 Digital SLR. I love the Samsonite Aspire Sport Upright 21 Expandable Carry-On Bag – Red/Black for when I travel! I would love to have the Lenovo ThinkPad Yoga 12.5-Inch Convertible 2 in1 TouchscrN Core i7-4600U. I want to get the Lenovo ThinkPad Yoga 12.5-Inch Convertible 2 in1 TouchscrN Core i7-4600U from BuyDig.com. I learned there is FREE SHIPPING on many, many products. Sometimes that is the reason I will shop on a certain website. I love free shipping. I like the Garmin GPS. I love the Samsonite LIFTwo 25″ Spinner Luggage in red! I like the Asus K200MA-DS01T 11.6-Inch Touchscreen Intel Celeron N 2815 Notebook . A smart tv or luggage. Hard to decide! BuyDig is a great site to do some comparison shopping or learn about new electronics. I really like the 4K TVs. i like the Bosch 7-1/4″ 15 Amp Circular Saw. They provide free shipping and they also have a 45 day return policy. They have a wide variety of electronics they offer at good prices. I was looking at camera and smart tv’s. I like the Cuisinart TOB-260 Chef’s Convection Toaster Oven. I love the selection of DSLR cameras. I would love to have the Samsung 40 inch 1080p 60hz LED HDTV! We have a really old, glass screen tv, so I’m dying to get a new one and this would be perfect. I would love a set of the new spinner luggage! I learned that they have blowout deals with up to 70% off. Sony KDL55W950B – 55-Inch Ultimate Smart 3D LED HDTV Motionflow XR 480. I like the Samsung UN55H7150 – 55-Inch Full HD 1080p LED 3D Smart HDTV 240hz. I want the XPS 11 11.6″ 2 in 1 XPS11-9091CFB Ultrabook PC – Intel Core i5-4210Y Processor . I need a new laptop. I would love to have one of those fancy FitBit activity tracker bands. Awesome and healthy! I like how everything is segmented and customer reviews help make veering towards a product so much easier. I like the 79UB9800 79-Inch 240Hz 3D Ultra HD LED Smart TV . I really want the Cuisinart CBT-1000 – PowerEdge 1000-Watt Die-Cast Blender with 64-Ounce Jar. My bf & I like the 55-Inch 4K Ultra HD 60Hz Smart LED TV! The link for The Couponista Pinterest follow is incorrect. Just wanted to let you know! I liked the Gift Ideas section at BuyDig.com Sometimes you are just stumped to know what to buy someone for certain occasions and though you can look on different categories on retail merchants web sites, your still left with finding out an item is to high in cost or maybe the wrong size, etc. So that particular feature allows you to pick all those fields first, and then view many items of choice for gift options. Great site, lots of choices, thanks. I love the camera, very sleek looking. A new set of nice headphones. I love their selection of SLR cameras. I love the variety they have, a Smart TV is on my wish list! I want the HD26 Full 3D 1080p 3200 Lumen DLP Home Theater Projector with MHL Enabled HDMI . I would love to have the Cuisinart TEA-100 – PerfecTemp Programmable Tea Steeper & Kettle. buydig.com carries a lot of Cuisinart products. I would love to have the Cuisinart Compressor Ice Cream. I really like the GE60 Apache -629 15.6-Inch Intel Core i7-4710HQ 2.5 GHz Laptop. I would love to have the Cuisinart 5-1/2-Quart 12-Speed Stand Mixer, Brushed Chrome SM-55BC. I could make some great stuff using it. I would love to have the Sony XBR65X850A 65-Inch 4K Ultra HD 120Hz 3D LED HDTV . I learned that you get $5 off your order when you subscribe to their newsletter. I would like to get the WB350 16.3MP 21x Opt Zoom Smart Camera Blue 16GB Kit. I liked and want the Dell Inspiron 15 5000 15.6″ Touch HD Notebook PC – Intel Core i5-4210U Proc. There are Blowout Deals, with up to 70 percent off the regular price. I would love to have the Lenovo ThinkPad X1 Carbon 14″ Touchscreen Ultrabook- Intel Core i7-4600U Processor. When I pasted my tweet – well, it pasted the last thing I had copied instead of my tweet- here’s the link to my tweet. Rafflecopter will no longer allow corrections, so I have to do it in the comments and hope it doesn’t disqualify me. I like the Canon and Nikon cameras. I’m going to have to do more research before deciding which one to own. 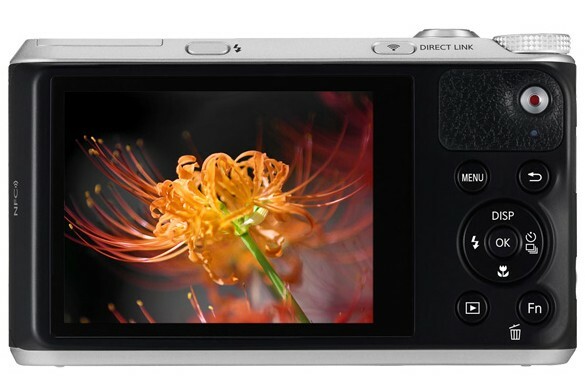 I like the Canon PowerShot ELPH 150 IS 20MP 10x Opt Zoom Digital Camera Silver Kit . I think it would be fun to get my own Drone. I like the Shark Rotator Professional Vac. I liked the fitness watches. I may actually look into buying one as I am trying to get back into shape. Thank you for the chance to win the camera! It would really be great to win. Would love to get a Toshiba laptop! At BuyDig, I’d love to buy the Cuisinart 5-1/2-Quart Mesh Colander. This be a huge help to me when I cook. I like the Able Planet PS400BG On the Ear Stereo Headphone. 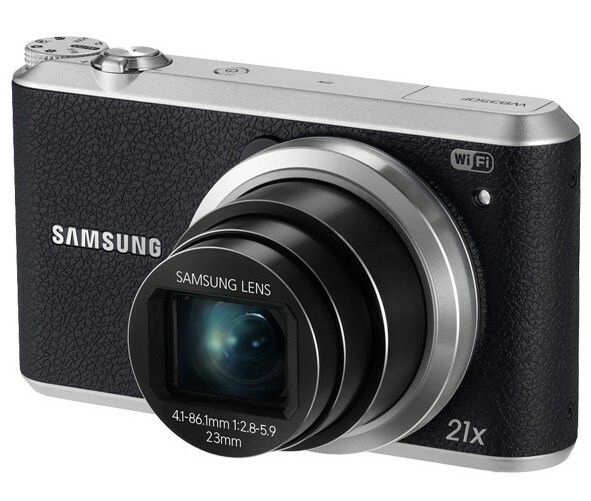 I liked the Samsung WB350 16.3MP 21x Opt Zoom Smart Camera Blue 16GB Kit. 11.5-Inch FG 125 Series Baseball Infielders Glove Right Hand Throw – Brown . My son is ready to go to the next size up. If wallet space wouldn’t be an issue, i would absolutely love to get the Nikon 2193 – 24-120mm f/4G ED VR AF-S NIKKOR Lens for Nikon Digital SLR from their site! I love the smart camera , from IMAGE sTABILIZATION , would love to my hands on it and start a photo blog. I learned you can save up to 70% by using their site to buy things. I would love to have the Alienware 13 ANW13-2273SLV 13″ Full HD IPS Notebook. I have always wanted an Alienware computer. My hubby wants a new 62 inch hdtv what a surprise, but they have so many great products I would love to buy on this site. I love the Samsung UN55HU8700 – 55-inch Curved 4K Ultra HD 120Hz 3D Smart LED TV! I would love a 4k tv! I would love to have the Garmin Forerunner. I love the BuyDig site they always have great prices too. nuvi 55LM Essential Series GPS Navigation System with Lifetime Maps 5″ Display . I like the Jawbone UP 24 Bluetooth Enabled Medium – Retail Packaging – Persimmon Red . Thank You for the giveaway… we like the Netgear N900 Wireless Dual Band Gigabit Router (WNDR4500) ! I like the Canon PowerShot G16 12.1 MP Digital Camera 8GB Kit, thanks! I learned that the company is located in Edison, New Jersey.